Combine raisins and water in a saucepan. Bring to a boil for 5 minutes. Mix together brown sugar, corn starch, cinnamon and salt together and add to the raisins and water. Cook while stirring until the liquid is clear and thickened. Remove from heat and add in vinegar and butter. Allow the mixture to cool for 5-10 minutes. 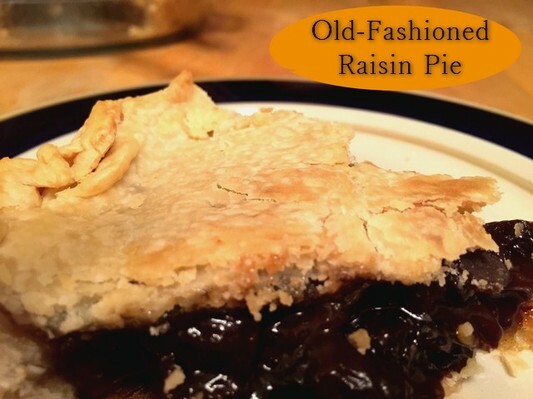 Pour into a pie plate that has been lined with pie dough. Cover with a top crust. Seal edges well, and then cut slits into the top crust to allow steam to escape while baking. Bake at 425F for 30-35 minutes.